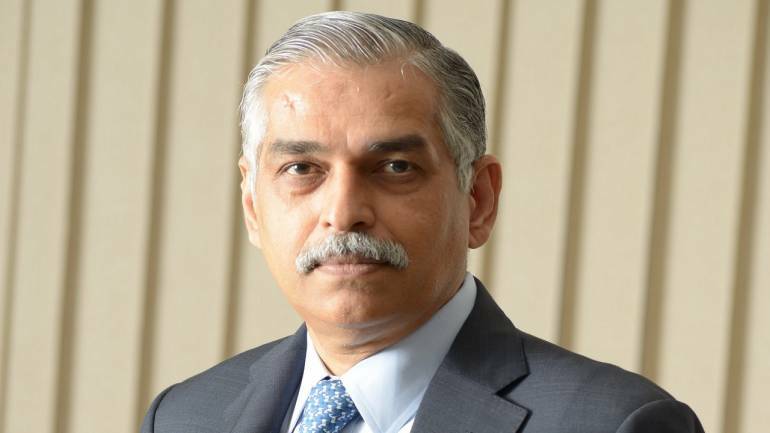 In a 35-minute chat with Moneycontrol, Ashutosh Raghuvanshi, Vice Chairman, Group Chief Executive Officer and Managing Director of the chain of hospitals, talked about how the company was founded on the principle of treating the ‘working class’. It’s easy to be painted a villain if you run hospitals. There’s an overzealous government, out to cap prices of medical equipment, to contend with. There are investors expecting superior returns. And then there is the patient, full of distrust, the inflated bills of the private hospital he visited last, still fresh in his memory. Amidst these conflicts stands Bengaluru-based Narayana Hrudayalaya, trying to tick all the boxes for all the stakeholders. He said new technologies and minimally invasive procedures had cut down the number of days a patient needed to spend in a hospital and hence having ‘x’ number of beds could no longer be a motive for a hospital. Rather, Narayan Health, he said, was focused on ‘number of procedures’ it did in a given year. He said the company’s focus on quality was a tool to drive down costs. He said the company’s barometer for being a centre of excellence and affordable care was its own employees choosing to be treated at its hospitals. He said the group Narayan Health was actually supportive of the government’s aim to cap prices of medical devices. Raghuvanshi said the chain would expand Delhi’s Dharamshila cancer hospital to make it a super specialty centre. He also talked about the company exploring a greenfield unit in Kenya and using robotics, automation and digital technology for quicker and better services. A few months ago, you acquired your partner’s stake in the joint venture running the Cayman Islands hospital. We don’t often hear of an Indian chain going out and running hospitals in foreign countries. What was the idea behind doing so? We have made that kind of leap of faith recently where we have acquired our partner’s stake but the strategy started some about 6-7 years back when originally the idea germinated. The idea came because the Cayman Island government is an overseas territory of UK and autonomous country but it’s kind of a mixed British-protected country. They were heavily dependent on tourism and wanted to create a third leg of the economy which is a little more sustainable. They felt that healthcare for the region is quite under served. Majority of people have to go to United States in case they require any kind of tertiary care treatment and it is very expensive as you know. So within the Caribbean, if a facility had to come up, it would have done well. But as far as we were concerned, we did not want to venture into an overseas territory unless we had enough understanding of the terrain and how the business environment operates. So for the first three years of this hospital, we were a minority partner. A group called Ascension Health from US was the majority partner. So over the time, we saw the centre developing and we had more confidence and luckily for us, the partner had change of priorities and they wanted to consolidate their business within the United States. So we got it at a very attractive valuation. We are not looking at aggressively expanding into that market. However, we want to strengthen this operation by doing some kind of a hub and spoke kind of model over a period of time and we want to do all those in asset-light kind of model. The reasons for that are very simple because the cost structures over there are very different from what they are in India. Of course, earning potential is also equally high. But at the same time, if we have to earn here and invest there, that is not a wise thing to do. So we want to consolidate that business and it is currently doing pretty well. At EBITDA level, we are clocking around 15 percent as of last quarter and it’s growing at a very good pace. In the last four years, CAGR has been around almost 54 to 60 percent. With that kind of growth, we feel it is a good business but we don’t want to spread ourselves too thin into that territory. This facility is a modest size facility, about 110 beds right now but we could add cancer care over there in the next few years. Our focus remains in Caribbean as far as that side is concerned but here if we look at international expansion outside our country, we would rather look at countries which have similar issues and problems with healthcare. Those kind of markets would be more attractive for us because our model is always focused on creating a scale and keeping the prices moderate. Are you looking at neighbouring countries? Say countries like Sri Lanka, Bangladesh. What about Africa where a low-cost model could work? Though we haven’t specifically looked at it yet, but in future there could be possibilities in Myanmar as well and then, as a second corollary to this, could be certain countries in Africa, both in east as well as west. We have evaluated certain projects and we have expressed our interest in creating a facility in Nairobi in Kenya. However, that facility is going to be greenfield and it’s going to be a joint venture. But it is yet to take shape. We have sort of created a partnership with a PE fund and others. We are minority stakeholder but we will be operating it. Africa would be also an area which in future, not right now, but in next 5 to 6 years, should be an area of interest. It’s planned to be a heart hospital initially, heart and kidney care hospital. It will be a modest scale initially, about 100-150 beds. Delhi is a tough market to crack. It is dominated by large, expensive corporate hospitals. Narayana Healthcare founder Devi Shetty had many years ago said his company was not welcomed in Delhi. How has the experience been since you now have not one but two hospitals in Delhi-NCR? In our early journey, we had concentrated focus clusters of south, around Karnataka and around east, around Kolkata. We did not get appropriate opportunity in the NCR region and the entry barrier is huge. Prices of land and properties, freehold properties in Delhi are sort of unheard of and it’s not possible. Within the broader NCR region as you mentioned, there could have been some opportunities but we did not want to do just a peripheral centre unless we had some footfold or presence. So luckily for us, what happened was that both these facilities you mentioned, the one in east Delhi in Vasundhara Enclave and also the one in Gurugram, they both happened almost simultaneously. These opportunities came to us and at that time we thought that yes, this could be a good way to enter with a certain degree of scale and both were completely different models. One was a facility which was created as a greenfield hospital and was not functioning. The other was an established unispeciality hospital, it was a cancer facility, Dharamshila, which was a, 25 years going to finish this year, and it had its own legacy but at the same time with the development of the corporate healthcare etc, it had also seen changes in its standing within that market. So when we got these opportunities, we felt that this is a good time for us to do it because we can have synergies of two places together. Dharamshila was kind of an opportunity for us to manage the asset without actually acquiring and the other was asset-heavy. So it became balanced as well as capex was concerned. So what we decided at that time is that the Dharamshila facility will become from a cancer-alone hospital to kind of a super speciality hospital. So luckily there is space and there is a possibility of creating another wing which the original trust is going to build and we are going to have a cardiac centre, renal centre, neurosciences centre as well within that facility. So when we started managing the hospital from the trust, at that time the facility was only operating 140 beds. So there was an infrastructure created for about 240 beds. Now with the new expansion which will happen over and next 18 to 24 months or so, we would be able to enhance its capacity to about 400 beds. So it will become a significant hospital and as you know that the eastern population in the eastern side of the city is huge. Regarding our experience in Delhi-NCR, it is too early still to say but I think lot of people just believe that Delhi is a very affluent market and everybody can afford to pay. I hear that refrain coming from people even within the healthcare profession but that’s not really a fact because the population which can pay is a certain segment of population but majority of population, which is at least 60-70 percent, need a facility at a price point which they can afford. And they would have no choice but to go to a public hospital because the private hospital may be totally out of reach. Public hospitals, as you know, have lot of inconveniences and all other issues, which are there in public hospitals and they are overcrowded. Delhi doesn’t serve only its own population but it serves the hinterland also and large number of people who don’t have access to care, they also come to public hospitals in Delhi. So they are really, really overburdened. So because of that, anyone who could afford a smaller amount of money doesn’t have a choice because the choice is between very expensive hospital or a public hospital. So I think, a player such as us, which wants to cater to that segment, I think, has a role to play in NCR and we will be focusing to look at opportunities beyond these two hospitals. Within the larger region, not necessary within the Delhi boundaries, in the NCR region as you mentioned, Faridabad, even the northern side of Delhi, Ghaziabad, etc. So that is the idea that we remain a mid-segment player which is between a public and absolutely private. Preference is always for an asset-light model and the reason for that and the philosophy behind that is very simple. That, larger the capital outlay, the more pressure on price and we don’t want that. We want the prices to be as moderate as possible. How much capex are you planning in FY19? Generally, our maintenance and upgradation capex usually remain in the range of about Rs 100 crore to Rs 150 crore per annum. Within our existing facilities, we have certain, without sort of spending too much of capex, we can enhance the capacity. We have built capacity of about 7,000 odd beds across the network but we are operating only close to about 6,000. So within this, we have this capacity of about 1,000 beds. I would say that would not require extraordinary capex. So within the maintenance capex which we have kept, we should be able to use as many beds as possible. Currently the occupancy levels are about 61 to 62 percent. In other established hospitals, it is little higher. In the younger hospitals, it is little lower. But at an aggregate level, it is about 60-61 percent. So we still have a headroom to go up to about 70-75 percent when we require more beds to be created or new hospitals. At the group level, how many beds are your targeting? Is that really a target you look at? Originally, our strategy always used to revolve around how many beds we should have in say ‘x’ amount of time. So we used to aspire to have 10,000- 20,000 beds. But now a big change in healthcare is happening in the delivery side. So the average length of stays are coming down. It again brings down the requirement as to the number of beds you require. That is one change which is actively happening. The second change which is happening is that lot of other players who are providing support, care at home have also started coming and that is an ideal environment to heal. So I think these ecosystems will evolve over a period of time. We are not committing ourselves to a number of beds to which we want to go. But what we are looking at is to how we can have another matrix, which is how many procedures we do and how many critical care beds we have. We are also trying to explore how we can use technological means to be participative in that larger ecosystem of care which happens outside the hospital. We are not setting as a target of number of beds at the moment but if I have to take a guess, I would say we should possibly add may be another 1,000 beds in next 2 to 3 years. With respect to kidney transplants in a year, we do about 700 to 800 across our network, I would want that number to double in the next 3 to 4 years. Similarly, if we look at dialysis across our network, we do close to about 300,000 treatments a year. I would also want that to be double in the next 3 years. Technology works at various levels in a hospital. There are robots working inside operation theatres. There are patient records that can be digitised. There is a huge procurement side that could be automated. How are you implementing the new wave of technology, be it artificial intelligence, automation or robotics at your hospitals? As far as just the delivery of the care itself is concerned, I think robotic surgeries and minimally accessible surgeries, which are done through laparoscopy etc, those surgeries are definitely reducing the morbidity and mortality, and they are improving the outcomes. So we are focusing on those areas and we have sort of already created two centres for robotic surgeries and we are trying to build that in all our major hospitals over next two to three years. So that is about the delivery side of it. What is very important is that on the operational side, like say for example lab automation. If you see your setup over here, we have to two large hospitals and we do close to some 20,000 blood samples during the day because some patients have multiple samples. So lab automation and things like that is the next one phase which is important, so that is what we are focusing on right now. So we have a project of automating our labs in the major centres. Most of the manual processes of taking samples and putting them in the machine etc is getting automated through robotics etc. That is one part of the automation but on the business intelligence and artificial intelligence side also, there are two components. One is just simply understanding nature of our operations better. That we are doing in-house team we have. So we have developed pretty advanced intelligence on operational side. Like for example, both on clinical parameters as well as consumption. The amount of time taken for a procedure, number of patients seen by x, y, z, all that information, where the patients came from, how long they stayed, etc, are available today. So that is part of it which helps us and our team to take kind of quick decisions and remedial decisions and the other area which we are working on very seriously is the supply chain because not enough has been done in past although we standardise all the products. So we don’t have multiple brands of medicines available. The other area which we are working on is that how can we improve the patient experience as well as decision-making for the nurses and support staff. What we are developing is kind of a disease pathway as well as an app-based thing which works from an iPad. So the data of the patients is fed by the system and the doctors trends, all information. Some of the information can be filled by the patients themselves from home as well. The moment a patient goes to the doctor, he sees how the blood sugar has been varying, what was the medicine, etc. All that information comes at the click of a button and that also gives kind of a predictive thing as to what test needs to be done. The doctor has the ability to change that because right now the doctors would like to have a control on the way the care is being delivered and the kind of medication. But the intelligence is already suggesting what has to be done. So we are trying to develop all these. We already have it in place for diabetes and chronic heart diseases. And we have started beta testing it and gradually we are going to do that kind of thing. We are developing a similar thing for critical care as well. Like in the ICU, data gets acquired from the machines and whatever is fed by the nurses. It is an interactive form rather than the chart which the nurse would fill and somebody has to see it. Here, this would give the alarms, it will show that OK this is out of range, this needs to be looked into, etc. So intelligence is getting built into the forms which usually were put on paper. So it’s a like a step ahead from going to the digitalised form. The government has capped prices of stents and is looking to cap prices of more number of devices. Prices have come down but at the same time, some manufacturers have been withdrawing their products from the market. How do you view the government’s move? We are actually a little supportive of those initiatives and the reason is very simple. I think what has happened in healthcare over the past 20 years is that the perception has become very negative. So what was happening was that private hospitals were not making any margins on services and they were making all the margins on medicines and consumables. Now that was kind of a very opaque way of doing things though the hospitals were not making unreasonable margins. But in a very low value product, the margins obviously are going to be abnormally high even if you sort of take 50 paisa extra. I think there was perception issue that was happening. So in my view, price cap is to a large extent, especially for material and medicines a good thing because it brings in a certain degree of transparency. Where I have a little concern about is about capping the prices of procedures because in medical science, the clinical pathways are not very clearly established at the time and the patient doesn’t have a kind of uni-dimensional problem. Medical problems are all interlinked. I believe this capping of prices of procedures is a slightly dangerous trend. Material is something which is defined and that probably just like anything else should be controlled. Similarly, overall, some kind of regulatory structure for private healthcare must be there. Healthcare is a sensitive thing for people and if every other industry is regulated, healthcare also should not be left out. So we don’t have a difference of opinion that the regulation should be there. We only are concerned about some steps not being scientific enough. Like when the National Assurance, the Ayushman Bharat scheme rates, etc, are being decided, those rates are not being decided on any scientific basis. If you look at some of those procedure prices, and suppose, theoretically for a moment, let us assume, that even a government hospital will only get that much money, government will not support anything else. Imagine if All India Institute had to take only that price, will they be able to survive? I don’t think so. I think, it should be more scientific. But having said that, I think we are very hopeful of thing that this is a beginning. So if it starts, then automatically, wherever there are anomalies, they will probably get corrected over a period of time. So we are very hopeful that this will change the healthcare landscape of the country. Healthcare is a peculiar sector where too much focus on costs can actually be dangerous. After all, it’s a patient’s life that’s at stake. At the same time, you have to keep delivering for your investors also. How do you juggle that?One of the major things this scheme will probably bring is to increase the number of people getting access to higher or complex procedures. Those numbers will probably increase dramatically and I think the economies of scales will come into play and that would probably benefit us. Now when it comes to within the organisation, how does one balance these factors? One is we insist all our hospitals should be accredited. Accreditation doesn’t get necessarily translated into quality because it means that you are doing your processes right, you are maintaining your records, etc. So we are putting a lot of emphasis on clinical standardisation and clinical pathways. Suppose some patient has a complication, then it increases the cost. Today, it increases the cost for the patient. Tomorrow, if the reimbursement is going to be purely based on the outcome, then it is going to increase the cost for the hospital. So we look at quality as a tool to reduce the cost, not as something that is cost accretive. You may have to invest a certain amount of money in having systems in place which ensure that your quality is being monitored and your quality is being continuously looked into. It requires a little bit of investment but that pays off in terms of better outcomes, lesser consumption. Suppose no patient gets infection, then you save so much on antibiotics which you may have to give. So we look at quality as the most important tool to economise. If you have to give care at a low price point, the quality has to be good. So that’s one of the thing, culture which we have sort of evolved within the organisation. But your basic question which you asked how does one balance between profitability and cost. That’s an eternal question which I think is not very easy to answer. Everybody will give you the right answer when you ask this question but the facts may be very different. So I would say that this is the basic ethos of any organisation and I think because the way healthcare will be perceived by the people and it will always be imperative on the healthcare industry to balance these two things. If any point of time, if either there is a fact or a perception that healthcare is exploitative, people will resist back and I think the maximum resistance will always come from within. One of the things which Dr. Shetty often says and I think that’s the acid test if each one of my employee feels that they can come and receive care in this hospital and they can afford it, then we have done our job. So I think as long as we do that and we focus on getting profitability out of efficiency and not on squeezing money out of the people, I think we will be fine. Whenever we open any hospital, Dr Shetty goes only at the beginning once and gets everybody in the room and speaks to them. He says we build hospital for working class people, that’s our custom. We will also treat the rich but we haven’t built the hospitals for rich. You need both. You need the kind of cross subsidy happening from people who believe in higher tariff rooms etc, but this has been our philosophy and with God’s grace, so far we have been able to remain on our path.